Right click to bouncer, and automatically bounce after landing! Just hold shift when you’re falling in order to not bounce! These boots cancel fall damage, and will take the amount of blocks you fell out of their durability! They’re stronger than gold, but weaker than iron. The bouncer works like a trampoline; when you land on one, or jump while you’re on one fall damage is cancelled and you bounce straight back up! Just drag the zip into your mods folder! 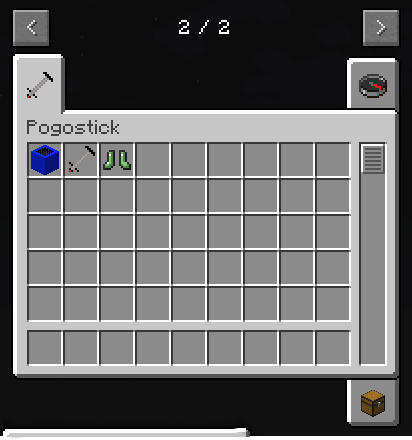 The Pogo Mod is free to download and use, and always will be! But if you want to support me, or buy me a coffee, please donate to me below!